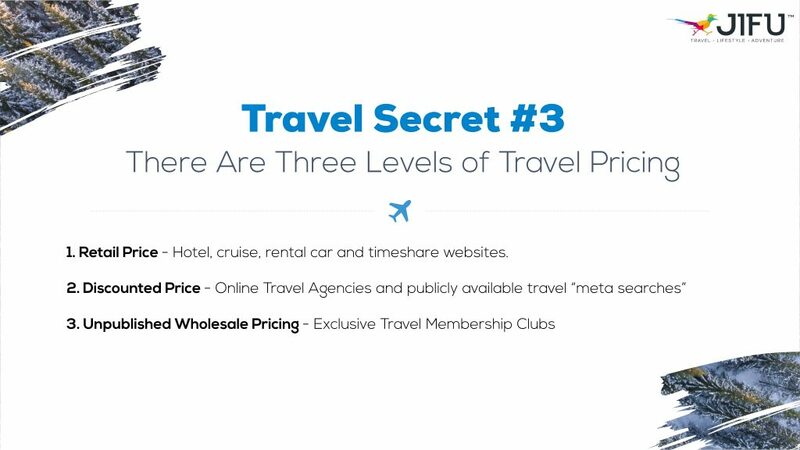 What to know the BIGGEST secret in how to save money on travel? 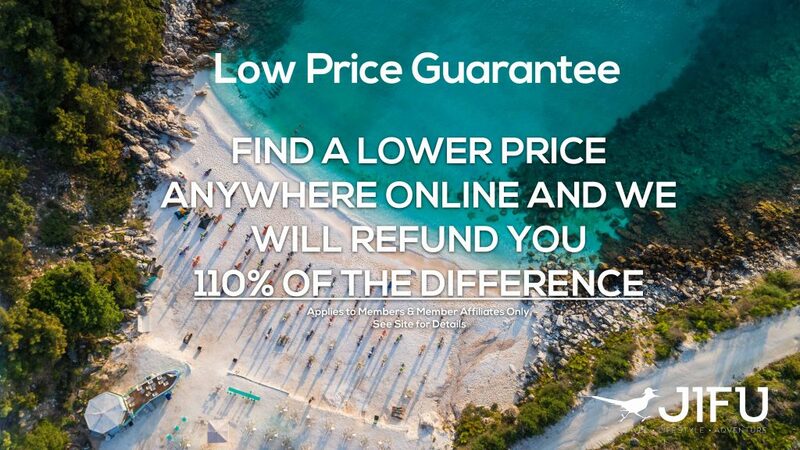 Those public discount sites you use (i.e. 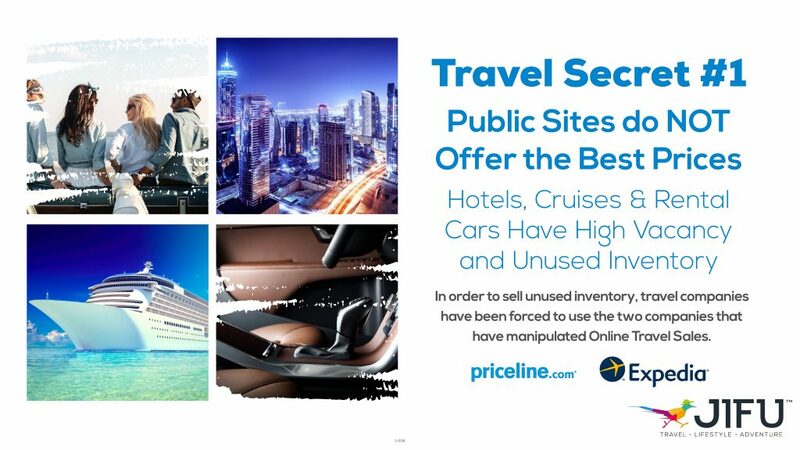 Expedia, Agoda, Priceline etc) are NOT the lowest available price! Only large companies, whom have contracts with these wholesalers get access to these prices. 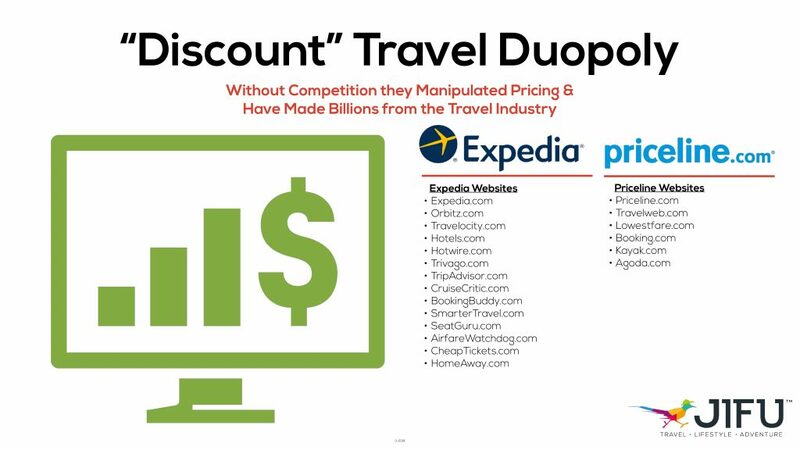 Those companies take those rates and mark them up and sell them on their site (like Expedia, Priceline, Agoda, Hotel.com etc). 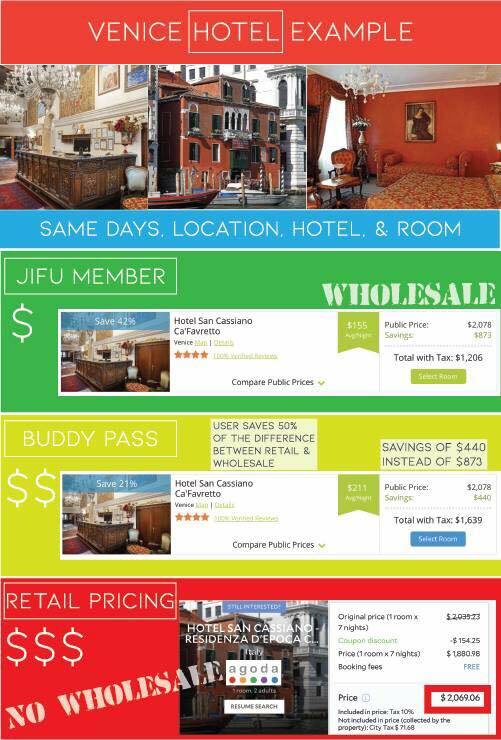 JIFU is a Travel Club membership that gives us access to vacancy accommodations. Basically, hotels need to be at very specific occupancy rates in order to break even. They know that some money is better than none. So, when they look out to 30-40 days out of their bookings, they can see that they might fall short on their occupancy minimums. So they offer their rooms on a wholesale site for deep discounts. JIFU has the same access as the ‘BIG guys” but they do NOT mark them up. They make their income from the subscription fees they charge. 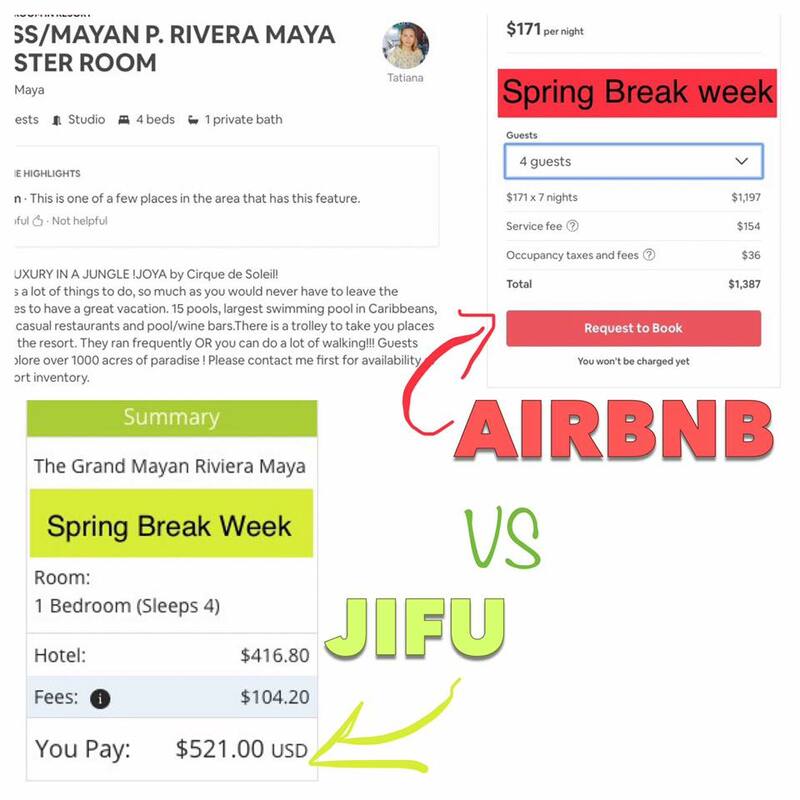 Simply put, the price you see on JIFU is the price they pay for that room, they make no money on it. Typically the savings is WELL WORTH the monthly subscription fee. In the last 60 days I have saved $1200 on my 8 day minivan car rental (from enterprise) and $800 on my 5 night stay at the LINQ in Las Vegas (in a luxury private cabana room). That’s $2000 savings in 60 days. Membership is pretty affordable, $50 one time sign up fee and then $25/ month after that. There is NO CONTRACT, you can cancel ANYTIME. Also with your membership you get 5 buddy passes a month. You can basically share your membership savings with others and EARN travel credit for your next trip! The buddy passes cost your friends and family NOTHING. They get access to ½ the savings you get as a member. It is valid for 6 months but if it expires they can get another form you. You know that ½ savings they get? 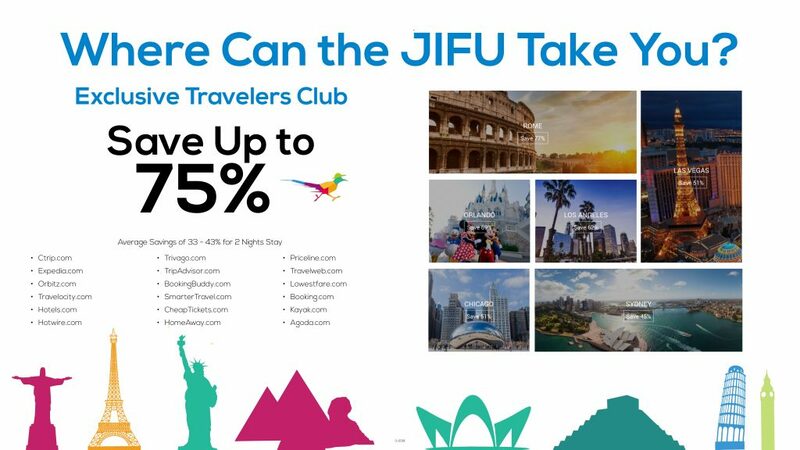 JIFU ACTUALLY PAYS YOU that extra money they are paying in travel rewards credits. For example, with a membership I save 25% on my booking for the Staybridge Suites Anaheim Resort and have a total savings of $171. If I gave my buddy pass to someone to use, they could get access for FREE and they would end up saving $86 (half the savings I save). 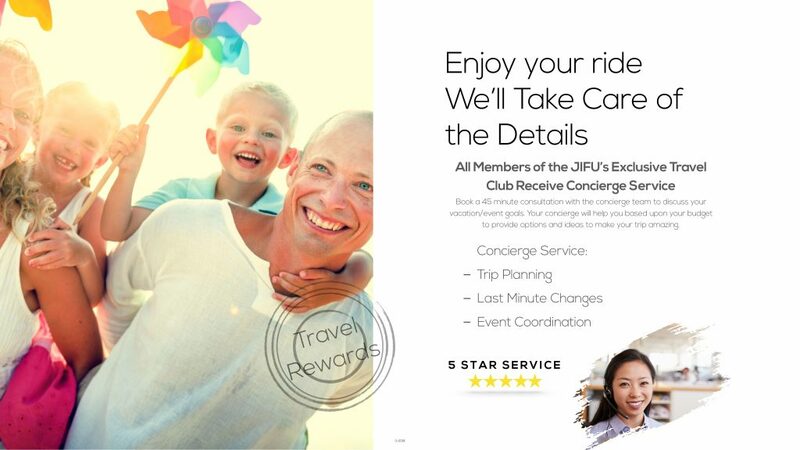 JIFU then give me 8600 travel rewards points. I can use these points to travel on. I can let them fill up and go on a completely free trip OR I can apply them to trips right when I earn them and it would discount my trip $86. 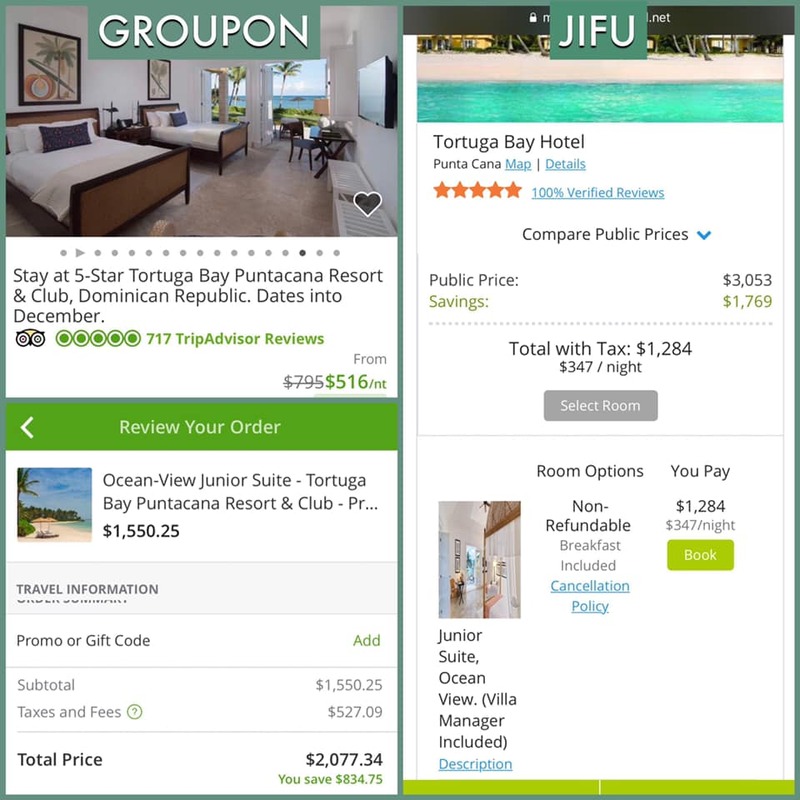 JIFU just paid me for sharing and saving my friends and family money on travel! The best thing, people can use that buddy pass OVER AND OVER, when it expires, they can get another one from you! 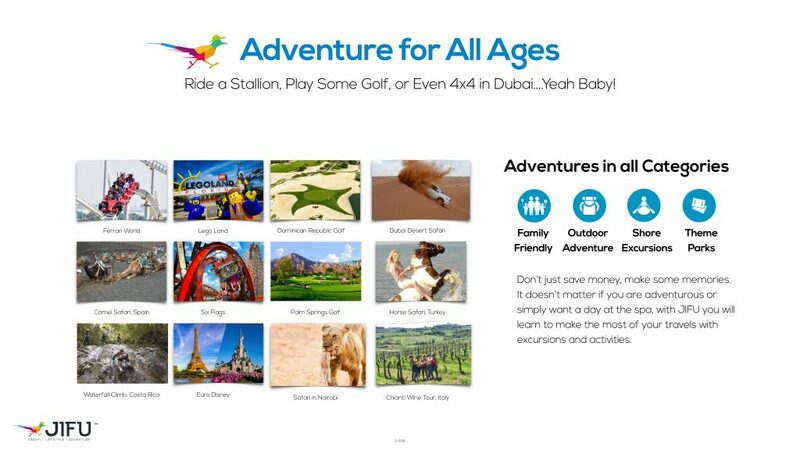 So your friends and family never have to become members but you can start traveling for free for sharing with them! 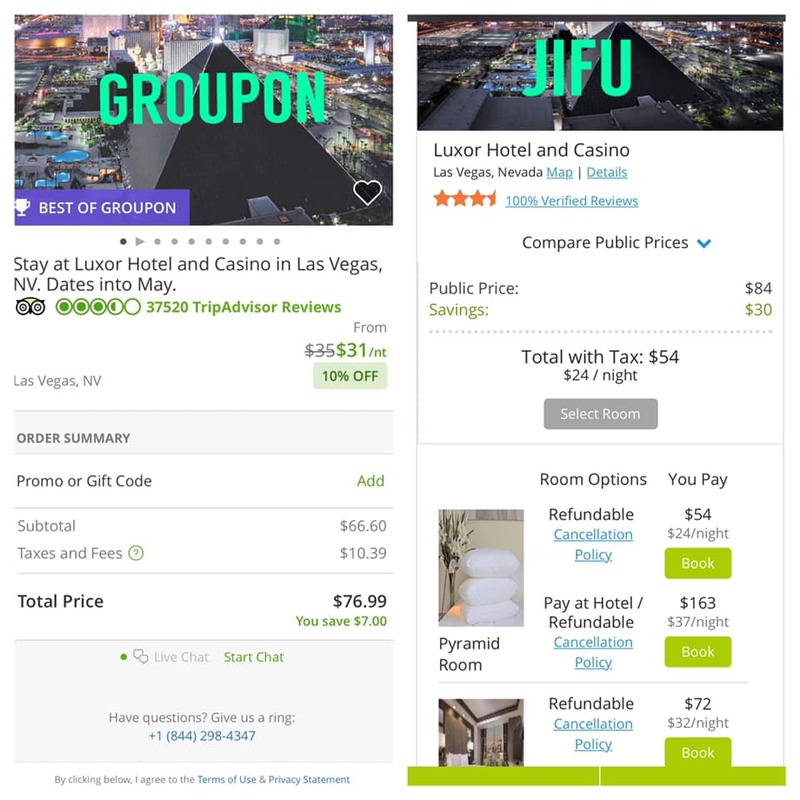 Sometimes the savings are CRAZY like my $800 savings for my hotel in Las Vegas… a buddy pass would’ve saved $400 and JIFU would’ve given me 40,000 travel reward credits. Already my savings with JIFU have made my 1 year membership with it (really my little amount of savings have covered almost 6 years of membership), plus we have at least 1 more Disneyland trip planned, one trip to Portland Oregon, we are looking to book an anniversary trip in the Fall, and maybe a family trip at Christmas time. Because I saved $2000 already I now have that to use and travel MORE with my family. 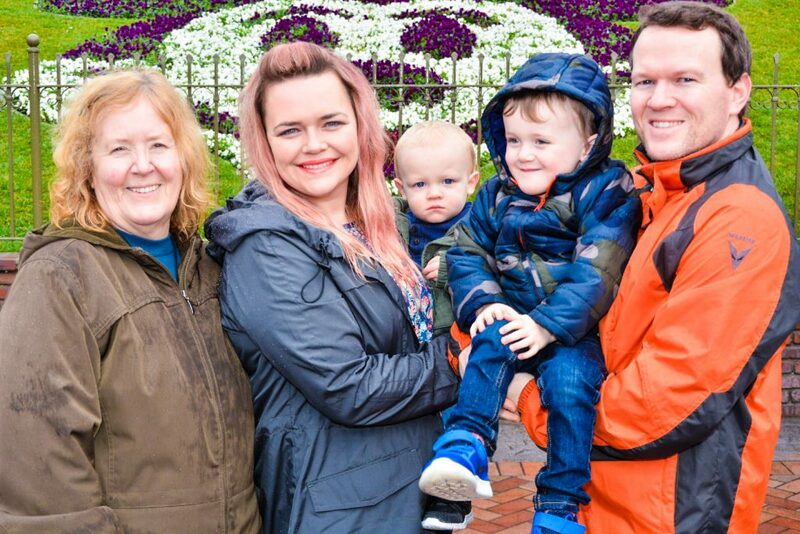 What excites me most about JIFU is that it makes traveling more accessible to more people (especially my little family). Every time you book through their site, you earn travel rewards. 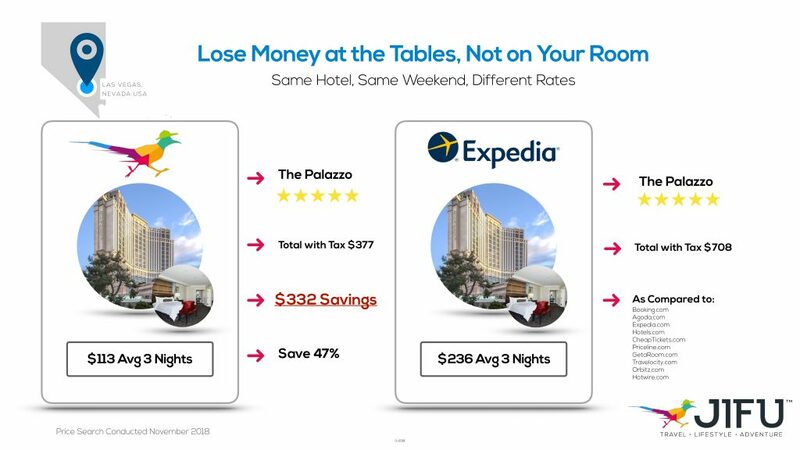 It is always at least 1:1 (1 point per dollar spent), but A LOT of times you earn EXTRA points for booking. Cruise’s you get EVEN MORE travel rewards credits. You can use these credits to apply to your trips. You can wait until you have enough points to have a free trip or apply them as you earn them and pay even less than wholesale for your trips! When you use a credit card to purchase your travel, you earn the rewards that your card company provides. THEN if you are booking a flight, you can use your miles account to still accumulate your airline miles. Even some hotels honor you collecting their hotel points with them (this varies based on location). (Hence the Double or Tripling points). If I didn’t make it more clear above, when you share your buddy passes you earn travel rewards credits towards your travel! You heard that right, you help your friends SAVE MONEY and you get REWARDS TO TRAVEL on! A great video breaking it all down for you! If you don’t have time to plan your trip or you’d prefer some input on it by professionals, you can contact our Concierge and they can plan the whole trip for you! If you have any issues with your bookings or want more details, they can handle it all! My sister has 4 boys and when they travel she needs to make sure she has 2 rooms next to each other or adjoining. So, she books her rooms then calls the concierge and they work out all the details with the hotel. 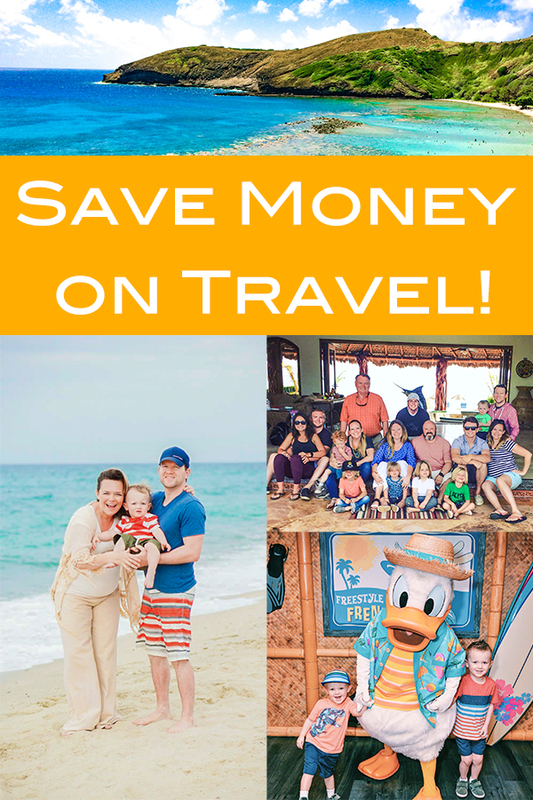 Not only can you save on hotels, rental cars, cruises, condos, flights etc., but you can save on your activities when you travel! In Las Vegas I was able to save money and earn travel rewards on our Cirque De Sole shows; we are going to Banff this summer and I am saving on our Gondola ride tickets. You can also buy restaurant gift cards at deep discounts! 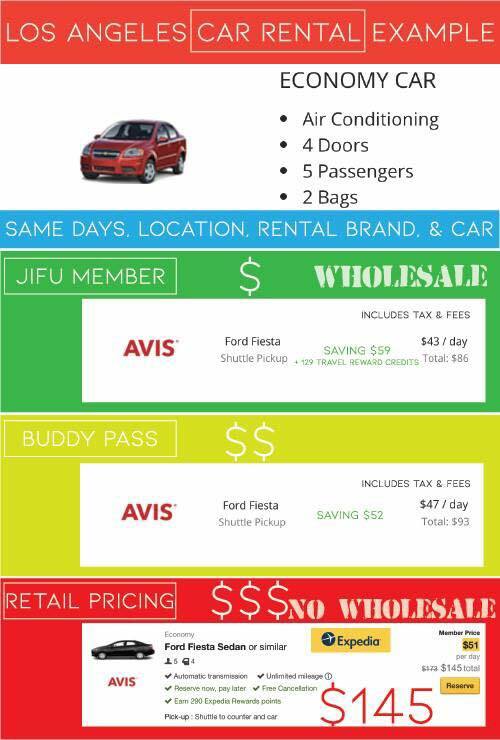 If you’d love to have free access and save money on travel them claim your FREE buddy pass now! Or sign up to be a member now and take advantage of the full savings and share those with your friends! Don’t just take my word for it! Here are some other awesome travelers who are raving about JIFU on youtube!